Nexxis provides technical equipment rental, sales and leasing to the mining sector, including laser alignment tools, liquid flow meters, and x-ray fluorescence (XRF) analysers. These products fulfil a wide range of vital roles within the industry, such as yield optimisation, improvements to productivity, and real-time data acquisition. Non-destructive testing (NDT) tools are useful in a wide range of different industrial practises, and ensure that processes are carried out safely and equipment is operating efficiently. Nexxis’s NDT solutions have a variety of mining applications, including eddy current testing for cost-effective scanning of raw materials and sub-surface flaws, ferrite content testing and thickness testing to check for corrosion and cracking susceptibility, and magnetic particle inspection (MPI) for the detection of subsurface ferromagnetic elements and alloys. XRF analysers enable fast and accurate positive material identification (PMI) testing, as well as material and element identification and analysis to assist with quantity control, and safety and maintenance activities. A wide variety of material can be analysed, from large structures and materials, to small metal or ore shavings. More than 25 different elements can be analysed almost immediately, including alloys of aluminium, cobalt, zinc or magnesium, as well as a wide range of pure metals. Within mining applications, handheld XRF analysis enables identification of prepared samples and mine-faces on-site, optimising time and productivity. Nexxis’s range of ultrasonic flow meters help clients to meet their industrial liquid process requirements. Among the liquids capable of being measured is natural gas, mineral oil, lubricating oils, chemicals, and water, as well as dirty liquids such as sewage. The liquid meters are compact, lightweight, and easy to operate, aiding in productivity and operational efficiency, and are shock and vibration-absorbent, to protect from rigorous use and adverse environments. Equipped with a multifunctional LCD display, meters display data in both alphanumerical and graphical formats, or data can be easily transferred to a PC via infrared port. The company also offers a number of robotic crawlers and borescopes for remote visual inspection in potentially dangerous or difficult-to-reach environments, such as inside pipes and walls. All inspection cameras (RVI) and crawlers are durable and technologically advanced to withstand the requirements of industrial settings. Another option from Nexxis is its range of versatile push rod and pan-tilt-zoom (PTZ) cameras, which can be inserted and fed into restricted-access areas such as cracks and crevices where manoeuvrability and portability are required attributes. Nexxis is an Australia-based equipment supplier, which is committed to providing cost-effective equipment solutions. The company provides commercial flexibility and superior technical support, so that clients feel valued and secure, in addition to reliable, durable equipment to suit a variety of industry applications. CCTV is a well-established technology for pipe inspections and it comes with many benefits. What Is Remote Visual Inspection Equipment? To learn more about remote visual inspection (RVI) equipment, you can explore the wider concept of RVI itself first, as this will provide the framework for a discussion on the various equipment types and the nature of the inspection tasks that they perform. Unlike other testing methods that can damage or destroy the object being tested, the very nature of non-destructive testing (NDT) is its biggest advantage. Materials, structures and components can be evaluated quickly and accurately without being damaged and without their future usefulness being impaired. RVI is about actionable results, accuracy, reliability, data collection, decision-making, budgets, project-specific demands, and it is crucial to make informed choices. 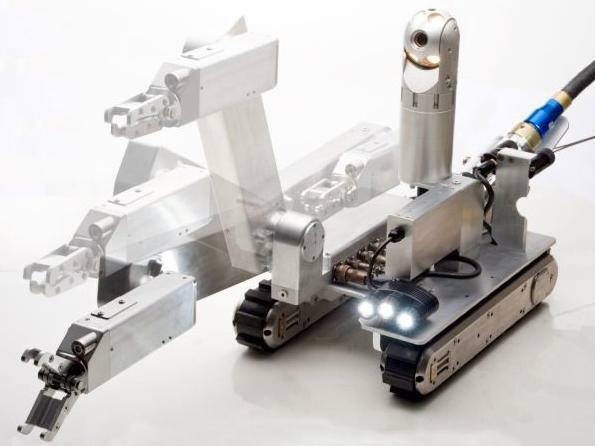 Robotic crawlers are widely used for safe, efficient and reliable remote visual inspection (RVI) of assets and equipment in many different industries, including energy, mining, oil and gas, aeronautical and utilities. Get a grip on your operating costs with laser technology for belt alignment. Borescopes are widely used in many different industrial and commercial applications, enabling real-time remote visual internal inspection inside cylindrical cavities, voids, confined spaces, pipes and closed structures using high-quality images or video. As far as tough environments go, US Navy fighter jets are at the top of the order and they need an inspection system that’s as rugged as they are in order to keep them in peak condition and ready to tackle the most challenging mission. There's much more to remote visual inspection (RVI) than meets the eye. As far as tough environments go, US Navy fighter jets are at the top of the order and they need an inspection system that's as rugged as they are in order to keep them in peak condition and ready to tackle the most challenging mission. Borescopes are widely used in many different industrial and commercial applications, enabling real-time remote-visual internal inspection inside cylindrical cavities, voids, confined spaces, pipes and closed structures using high-quality images or video.